Photo by Darrell Wyatt via Flickr CC2. 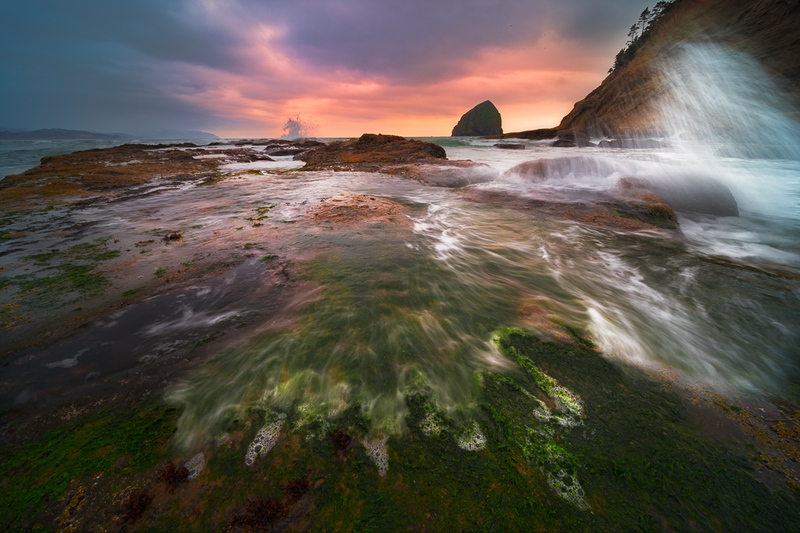 Beautiful and treacherous, scenic and well worth the trip, Cape Kiwanda on the Oregon coast is a stunning place to add to your bucket list. 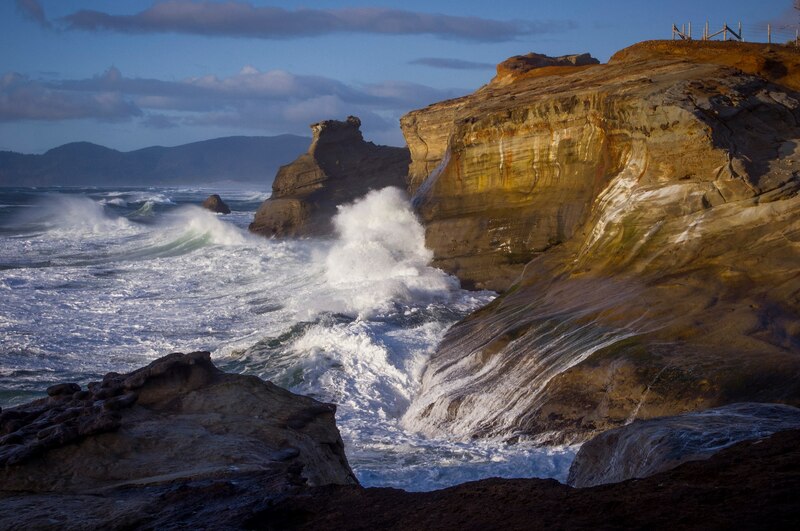 From fishing to sand boarding, whale watching to hang gliding, the Cape Kiwanda State Natural Area has something for everyone. 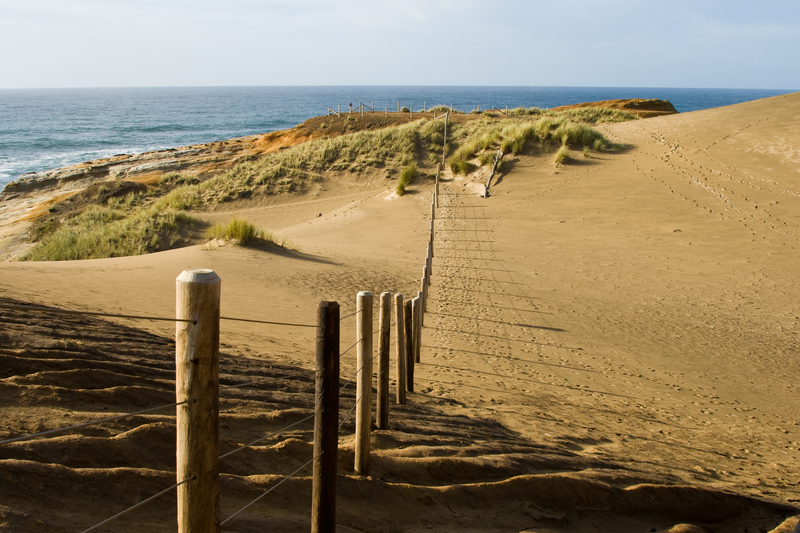 Cape Kiwanda in Pacific City boasts an almost 300 foot high sand dune perfect for sand boarding and hang gliding. It also has a pristine scenic beach for playing in the water, bonfires, and fishing. You can also watch the Pacific City dory boat fleet come ashore at high speeds right onto the beach in the evenings. Cape Kiwanda as seen from the beach in Pacific City Oregon. Photo by JATomlinson Photography. The cape also has a variety of layered cliffs, rock stacks and sea caves. If you enjoy wildlife, you’ll be able to go whale watching and explore sea life in small tidal pools, as well as watch the birds. Kite flying is also popular with families at the Cape. Photo by Thomas Shahan via Flickr CC2. 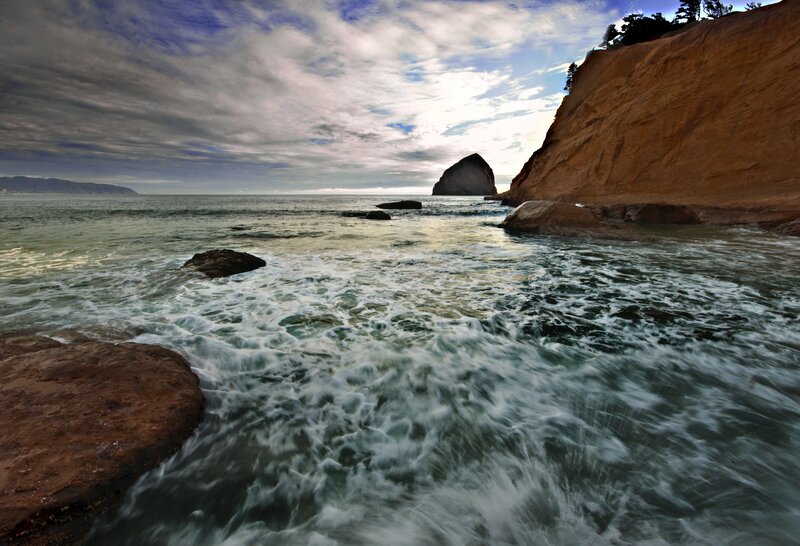 There is a 2.2 mile Lollipop hiking loop starting at the Cape Kiwanda trailhead, which is open year round. Be aware that the trail gains 230 feet in elevation and can be crowded, so come prepared. The trail is family friendly and dogs are allowed on a leash. 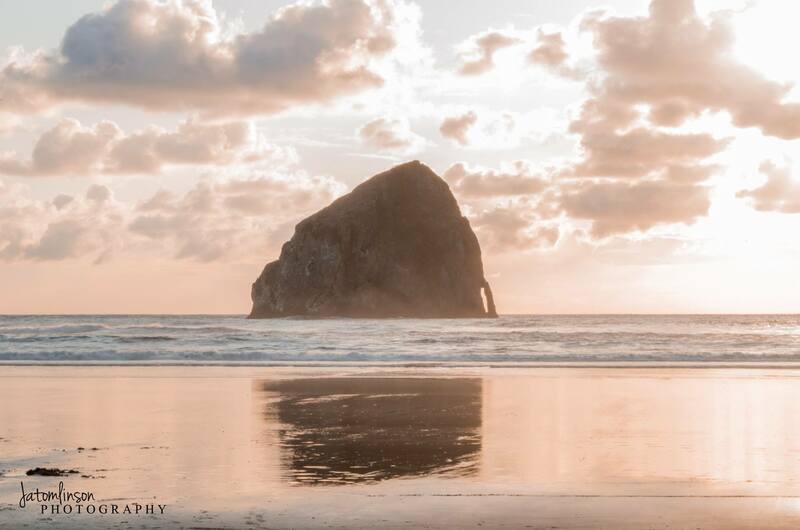 One of the Haystack Rocks in Oregon at Cape Kiwanda. Photo by JATomlinson Photography. If you’re looking for an easier, flatter walk, this stretch of beach at the cape is one of the best places on the coast to take a walk at sunset. Photo by Andrew Malone via Flickr CC2. Safety is important. No photo is worth your life. Be aware that the sandstone cliffs can crumble without warning, casting visitors into the sea. Many areas have been fenced off for your safety, and you should not go beyond fenced areas. Seven people have died at Cape Kiwanda since 2009, so it’s extremely important to follow rules and regulations. Also keep an eye on the tide and be sure to know when high and low tide are so you don’t get caught unaware. Photo by AirHaake via Flickr CC2. When are you going to make a trip out to the cape? 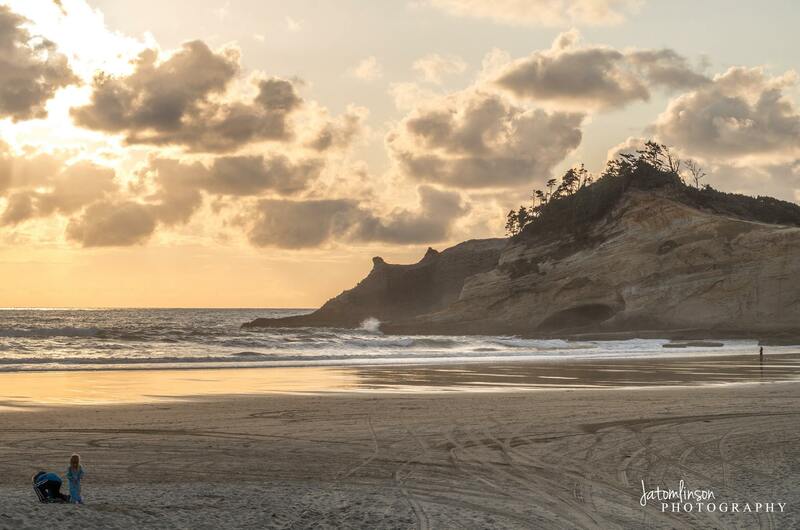 Tag the friends you want to take exploring at Cape Kiwanda, and be sure to share the photos of your trip with us on the That Oregon Life Facebook page.